The orb heals allies instead of damaging enemies. Necrotic Orb: Project a globe of annihilation that slowly floats forward, dealing [834 / 843 / 852 / 861] Magic Damage every 1 second to nearby enemies. An ally near the globe can activate the ​ Combustion synergy, causing the orb to explode for 6149 Magic Damage to nearby enemies and restore 3960 Magicka or Stamina to the ally, whichever maximum is higher. Mystic Orb: Project a globe of annihilation that slowly floats forward, dealing [984 / 994 / 1005 / 1017] Magic Damage every 1 second to nearby enemies. An ally near the globe can activate the ​ Combustion synergy, causing the orb to explode for 6149 Magic Damage to nearby enemies and restore 3960 Magicka or Stamina to the ally, whichever maximum is higher. Energy Orb: Project a globe of regeneration that slowly floats forward, healing for [862 / 872 / 882 / 891] Health every 0.5 seconds to you and nearby allies. An ally near the globe can activate the Healing ​ Combustion synergy, causing the orb to explode and heal for 6149 Health to all friendly targets and restore 3960 Magicka or Stamina to the ally, whichever maximum is higher. Before Update 14, the Combustion synergy restored magicka over time to nearby allies for each enemy hit. The Mystic Orb got the Magicka Combustion synergy, which also instantly restored magicka, while the Energy Orb and its Healing Combustion synergy only restored health. 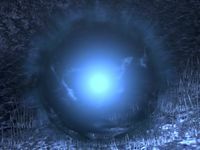 Energy Orb is a recommended morph for the Blood Magus, Eldritch Mender and Master Herbalist builds.